So you would think that after 2.5 years of doing this whole mommy thing that I would be a pro at all things domestic. Well do I ever have you fooled! 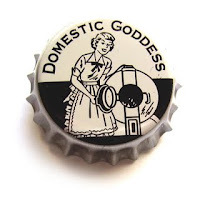 Now don’t get me wrong I do know some pretty awesome tricks and tips to save time and avoid meltdowns, but there are a few sections of the domestic goddessness that I haven’t mastered that I would love to improve upon. I’m so envious of the moms who have everything planned out, perhaps because before I became a mom myself I used to be so much more organized. Although there are a lot of things that have changed A.C. (after child); my body, (which sometimes I’d rather deny that it’s mine), becoming that late person that I always hated, and memorizing every little thing there’s one thing that I didn’t want to change and it’s being super duper organized. Perhaps I gave up being so particular for my sanity, considering I had a newborn, packed up a whole townhouse, moved to a new state into an apartment and THEN a new house in only 3 months. So I’m not super mom and realized that it’s okay to put some things off if I can spend more time with my daughter. Oh how things have changed. These days, since Little Miss “A” is a little more self-sufficient I’m able to get more housework done and she even likes to help. (Must record that here in the blog so I can show her when she is a teen.) Instead I think that now it would give me more time to spend with “A” if I were more organized. 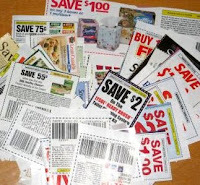 I clip coupons, keep a daily calendar of events (sometimes even with 3 calendars I still forget the time of play dates and nights out,) but what’s missing is a little more detailed organization. Start throwing/donating things that are junking up my closets in hopes that my $2 sweater will sell after 5 months on craigslist. Those are a few of my current goals, I’d love to start before baby #2 makes her debut. I would love any tips or websites devoted to a decent but not quite there organized momma. 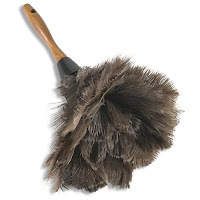 I think my Domestic Goddess Award is getting dusty…I may even have it revoked if I don’t do something STAT!